ROBO DAD | McServed: Getting Served McDonalds Fast Food Funnies, Laughs and More! 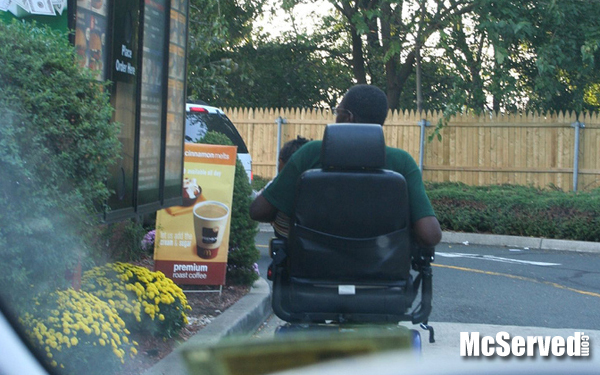 Nevermind that he is on a rascal ordering his food at the drive thru but the fact that he has his kid sitting in his lap while driving and, eventually, carrying food makes this guy part man, part machine and all nuts. Drive Thru, Picturestags: Atlanta, rascal. lol this is totally dangerous for the kid! Why does he do this? why does anyone do anything when it comes to these things? Seriously, where does this stuff go?